Riding a wave of innovation, Michael Shore, a longtime skateboarder and surfer, developed a line of skateboards to simulate surfing. SHOREBOARDZ™, his grass-roots garage-made skateboard business, was born in January 2012 as way to provide safer, more stable boards for those who had long since given up skating. "I couldn't get to the ocean as often as I'd like so I really wanted to build a skateboard that could feel like surfing," Shore said. Shore, of Trumbull, an art director for Wilton-based ad agency Ryan Partnership, has spent the better part of his life surfing or skating, catching his first wave at 9 years old in Nantucket, where his family summered each year. 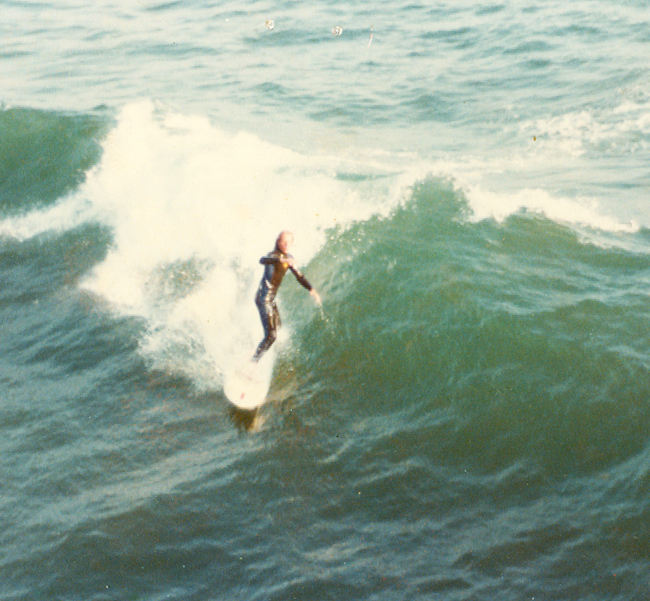 By 18 years old, he was competing in Eastern Surfing Association contests. He said, while skateboarding has continued to grow, many of his friends had long since abandoned the sport for fear of injury. "They find they were afraid to skate and didn't want to do it anymore," he said. "My boards are so stable. They glide really well and they're part of an emerging safer sort of skating." SHOREBOARDZ offers four surf-inspired skateboards with two short boards, including a 38-by-11-inch model and a 44-by-11-inch model built for skaters looking for a board with a surfing or snowboarding feel. Two long boards at 65 by 14 inches and 80 by 15 inches offer a cross-training option that allows paddle boarders to stand up on them and continue to ride in the off season, according to Shore. He also provides land paddles. Boards are sold directly through www.shoreboardz.com or contacting Shore via phone or email and are also available at CT retailers, Rampage Skate Shop in Bridgeport and Utopia Skate Shop in Norwalk. "My boards aren't for getting air or going down railings or other crazy things that kids love to do, but rather are for passive skating," Shore said. The USA-made boards take about three hours to complete from three-quarter-inch oak plywood and can be customized. A premium version is made from black walnut and maple. For 37-year-old Brady Coffey, of Valley Cottage, N.Y., SHOREBOARDZ introduced a new style of skating, replacing tricks with a passive, flowing skating style. "It's a style that is closer to surfing, a passion that I have more recently discovered in my 30s," Coffey said. "SHOREBOARDZ gives me the chance to apply a smooth, flowing surf style of riding with the creativity that comes with attacking a variable, urban landscape with a skateboard. I also really like the handmade feel of the boards. Michael has taken a retro approach to modern long-boarding current and created a completely new style." SHOREBOARDZ, 203-979-2141; http://www.shoreboardz.com. Boards available at Rampage Skate Shop, 1625 Railroad Ave., Bridgeport CT, 203-366-7267; Utopia Skate Shop, 150 Connecticut Ave. #2, Norwalk CT, 203-866-8723.